Yes… I’m being brave because I’m, for the first time, (I think), putting up a blog post that is simply some creative writing. I found this piece I had written a couple of years ago. In fact, long before boldly diving into blogging. It shows my fear surrounding my writing, and also shows me that I’ve stopped listening to that voice, otherwise, I wouldn’t have a blog or two! The cursor blinked on the empty page. The voice was speaking. The voice was taunting, teasing, provoking, driving, tormenting, intensifying, and succeeding. It always succeeded. It always won. It wore a badge of honour. It had the best sabres, the best ploys, the best reasons; it even wore designer clothes- of course. It’s home? Her head. And, she was prisoner. Each time she planted her fingers on the keyboard, a list of her shortcomings unfurled and the voice gladly announced each and every one of them. She slammed her computer closed, grabbed her keys and sped with urgency out of the city. 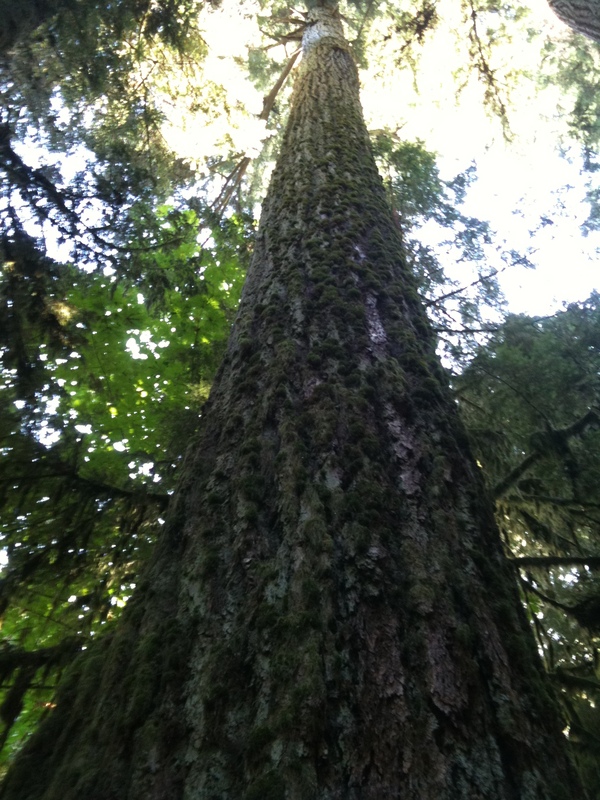 In the woods, she stopped in front of a massive cedar tree and wondered at its thick bark protecting it from the wills of the world. She stared up at the resilient spire feeling dizzy. She found the voice’s argument to be strong and valid. Why on earth would her thoughts matter? What made her think she had anything significant to share or express? “NOOOOOOOOOOOOOOOOOOOOO!!!!!!!!! !” Her real voice suddenly competed. Her real voice spewed forth. Her body dizzyingly spun and she collapsed to the ground. A robin in the distance chirped – clear, unencumbered. The trees whispered with the wind nodding in approval. Finally, now, maybe she could write her piece. Oops.. just replied with “comment” instead of reply… read underneath. Thanks!